Clarification: An earlier version of this article referenced the Military Accessions Vital to National Interest program mentioned in the Oct. 13, 2017, DoD memo. However, changes impacting recruits with green-cards will not impact the MAVNI progam. These two programs are separate. The injunction suspends a Trump administration policy announced last year. In a memo dated Oct. 13, 2017, the Pentagon said it was changing how lawful permanent residents, or green card holders, could join the U.S. military, to include increased background checks and extended service requirements. The memo mandated full background checks before a green-card recruit could be shipped off to basic. Previously, green-card holders, who are U.S. permanent residents, were able to report for basic training while their background checks were still pending, according to the American Civil Liberties Union, which argued the case in court. But that is being walked back this week, according to two defense officials and an internal memo cited by The Post. The new Pentagon memo orders each armed service to comply with a preliminary injunction issued last month in the District Court for the Northern District of California. The judge in the case agreed with lawyers of hopeful enlistees and the ACLU that the Defense Department did not satisfactorily justify the reasons for the tougher screening procedures. Foreign-born military recruits will face more screening requirements and will have to wait longer to get expedited citizenship. The services will begin slating recruits for training this week, The Post reported. The U.S. military has long recruited immigrants, promising critical skills training and fast-tracked citizenship. A second change initiated under the Trump administration last year appears to still be in effect. It extended the length of time a recruit must serve before receiving a certificate of honorable service, which is one of the requirements for getting expedited citizenship. The change lengthens the time in service to 180 consecutive days of active duty or one year in the reserve component. Previously, eligibility for the certificate began after one day of service, the Pentagon said in a statement accompanying the memo. The Pentagon’s announcement last year quoted Stephanie Miller, director of military accessions. 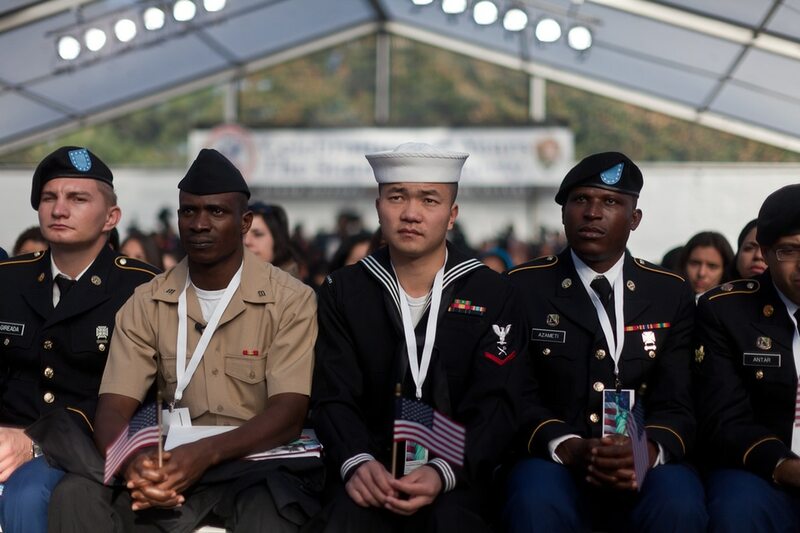 “While the department recognizes the value of expedited U.S. citizenship achieved through military service, it is in the national interest to ensure all current and prospective service members complete security and suitability screening prior to naturalization," Miller said. China, Jamaica, Nigeria and Mexico are among the nations from which a significant number of immigrant recruits arrive, according to data provided to The Post. The U.S. government often struggles with its ability to safeguard military and private industry secrets from Chinese espionage activities. The DoD is also engaged with the government of Nigeria in combating Islamic extremism.